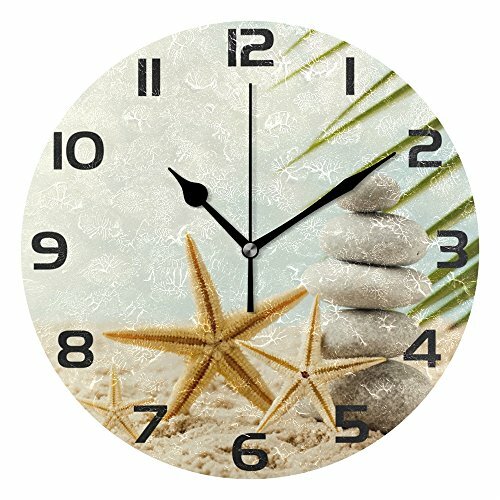 This clock is made of Acrylic texturized finish which gives a hand crafted feel,it has a beatiful and modern look . It Runs perfectly silently and keeps accurate time. The movement is totally silent and won't wake you up at night. It is very nicely color and looks like an antique which will become a perfect decoration in your room.
. 2.Because the batteries is limited by interenational transport , the battery is no contain, please pay attention. If you have any questions about this product by WellLee, contact us by completing and submitting the form below. If you are looking for a specif part number, please include it with your message.